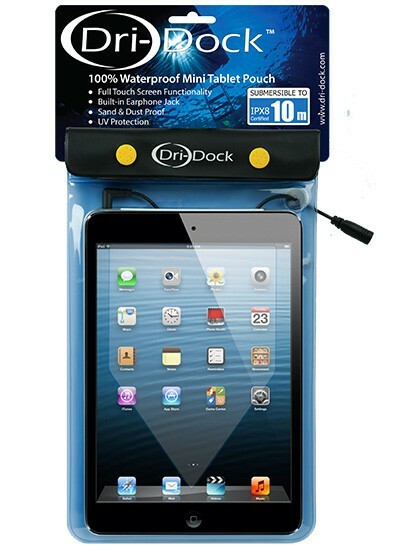 New from Dri- Dock - Mini Tablet pouch - suitable for all Mini Tablets offering 100% Protection from Water, Dust & Sand. Touch Screen controls work as normal when sealed inside this Dri-Dock 100% Waterproof Pouch, ideal companion whilst you're relaxing at the beach or lazing by the pool. 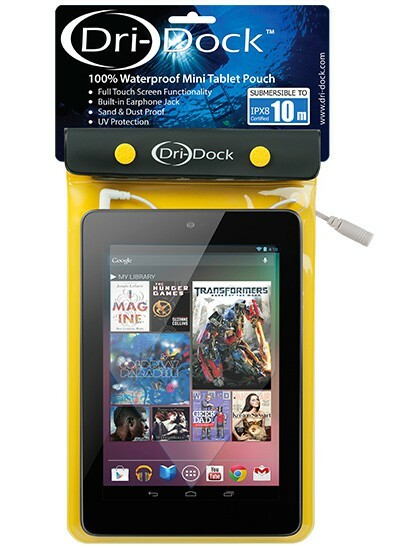 Compatible with all models of Mini Tablets, this Dri-Dock Waterproof Pouch is invaluable commodity in today’s climate when most people own a Mini iPad or Mini Tablet, competitively priced with fully functionality of touch screen controls, you can watch movies, play games, surf the net, it’s a customer’s winner! 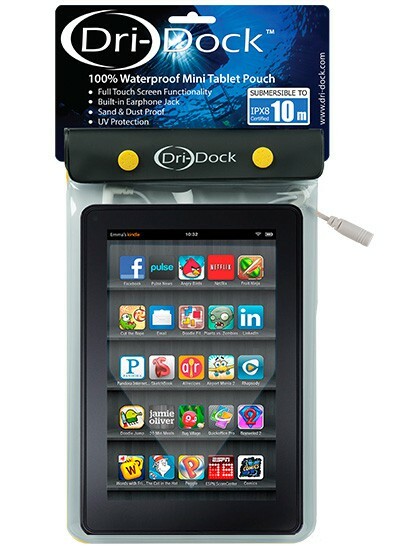 All Dri-Dock Pouches are easy to use and guaranteed 100% waterproof. Ideal Retail products for Hotel Resorts, Snorkel Tour Operators, Dive Resorts, Beach Shops, Trekking Tours, Mini Markets, Camera & Telephone Shops & Outdoor Gear Outlets to sell to their customers.